The D-Link Wireless N Gigabit Router (DIR-655) comes highlighted with 4 Gigabit ports, Wireless N 300 technology, multiple antennas, and a built in QoS engine to provide maximized speed and coverage for a smooth networking, video streaming, gaming, and VoIP calling experience. The built-in USB port with SharePort lets users share a USB printer or storage device. 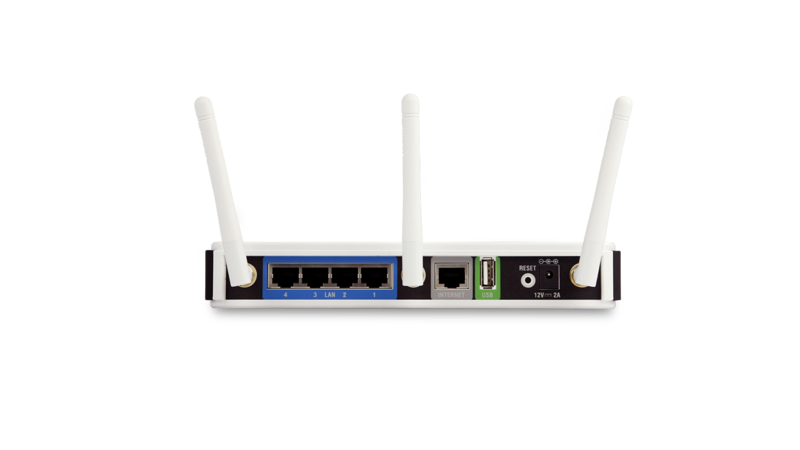 The D-Link DIR-655 Wireless N Gigabit Router is an 802.11n compliant device designed for use by users who demand higher performance networking. Featuring a 3x3 antenna design, the DIR-655 router provides superior whole home coverage whilst eliminating dead spots. It is also faster than 100Mbps wired Ethernet1. By connecting the DIR-655 router to a cable or DSL modem, users will be able to share their high-speed Internet access with everyone on the network. By adding a Wireless N notebook or desktop adapter, they will also stay connected from virtually anywhere in their home. The DIR-655 features the fastest processor in the D-Link Wireless N range, achieving ever higher throughput results between WAN and LAN networks. It includes four Gigabit Ethernet switch ports for highest transfer speeds to other Gigabit capable devices such as a network attached storage. For the first time, Gigabit connectivity is introduced on the WAN side as well, a unique feature ahead of its time in many countries. 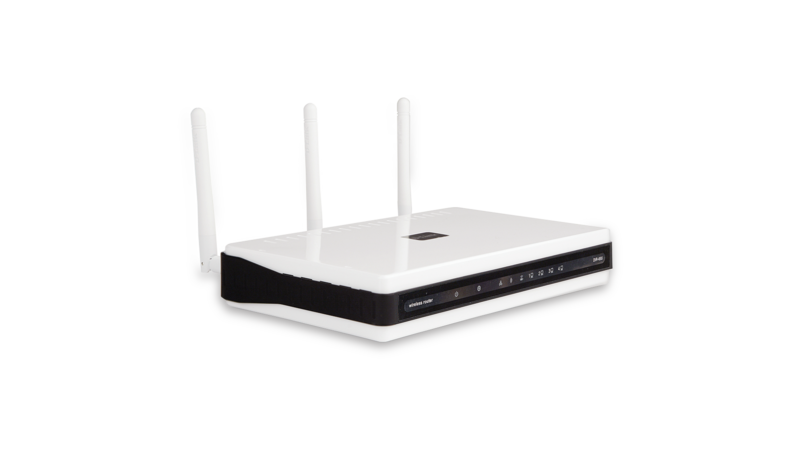 In addition, the router integrates the acclaimed QoS StreamEngine, which provides a better Internet experience by keeping Internet phone calls and online gaming smooth and responsive. 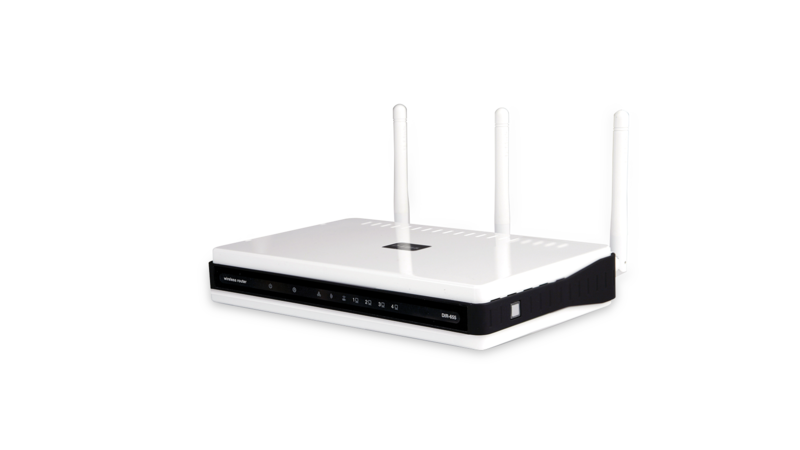 The DIR-655 router includes Quality of Service (QoS), wirelessly as well as to and from the Internet (StreamEngine). It features WISH, which enhances the consumer's experience for gaming, HDTV and other media applications over a wireless connection by minimising the disruptive effects of competing traffic on the wireless network. It automatically detects if audio, video or gaming content is being used on the wireless network and gives these applications priority over less time-sensitive traffic such as email or file transfers. It then adjusts priorities to ensure media content is transmitted without jitter or lag. The router even enforces a “good neighbour” policy, ensuring that it will not create interference for neighbouring networks. This is achieved by reducing the amount of radio spectrum used when detecting legacy 802.11g/b networks in the vicinity. The router supports the Wi-Fi Alliance’s standard for wireless security at the touch of a button. With Wi-Fi Protected Setup™ (WPS), the wireless network name (SSID) and encryption keys are automatically generated and broadcast to the client devices. Users do not have to memorise complicated passwords and key them in several times. This considerably simplifies the process of setting up security on the wireless network. 1 Maximum wireless signal rate derived from IEEE standard 802.11g and draft 802.11n specifications. 802.11n speeds obtainable when operating with Wireless N products. Actual data throughput will vary. Network conditions and environmental factors, including volume of network traffic, building materials and construction may lower actual data throughput rate. Environmental factors may adversely affect wireless signal range. Wireless N products are based on draft IEEE 802.11n specifications and are not guaranteed to be forward compatible with future versions of the IEEE 802.11n specifications. Compatibility with draft 802.11n devices from other manufacturers is not guaranteed. All references to speed are for comparison purposes only.